�����峹�G�ͱ��D����| - ��Ǹ�T�t�� - ���䥻�g��Ǥj�Ԧa - Powered by Discuz! 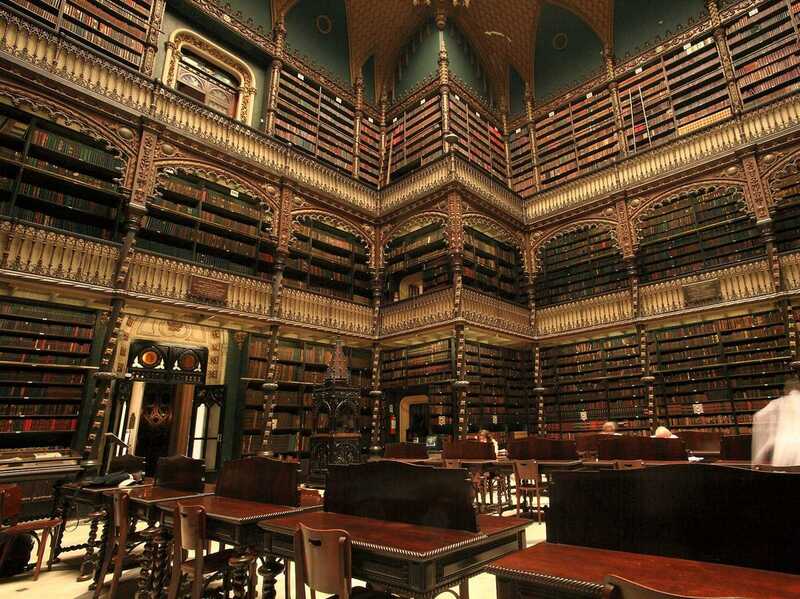 If you love books, libraries are some of the most spectacular buildings in the world. To celebrate these monumentally important buildings, we’ve complied a list of the most magnificent libraries on the planet. 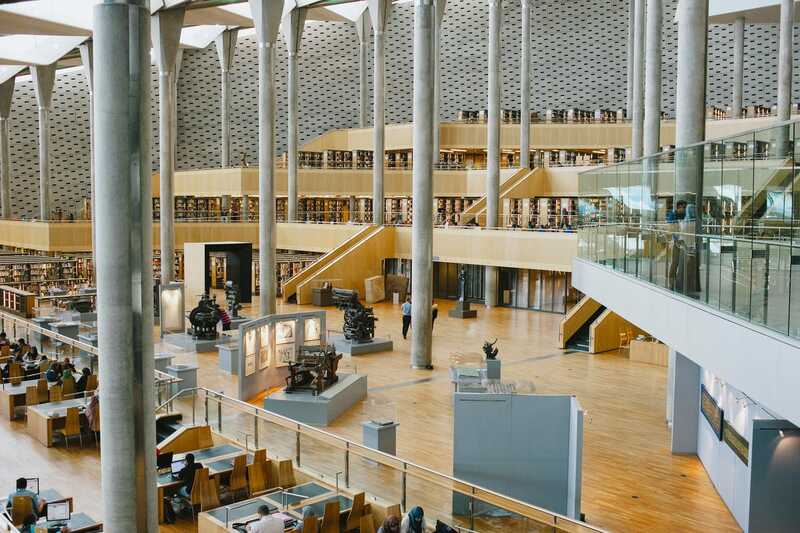 From a library hidden in the forests of Beijing to one in Egypt that was designed like a sundial, these are the libraries that all book lovers should visit in their lifetime. 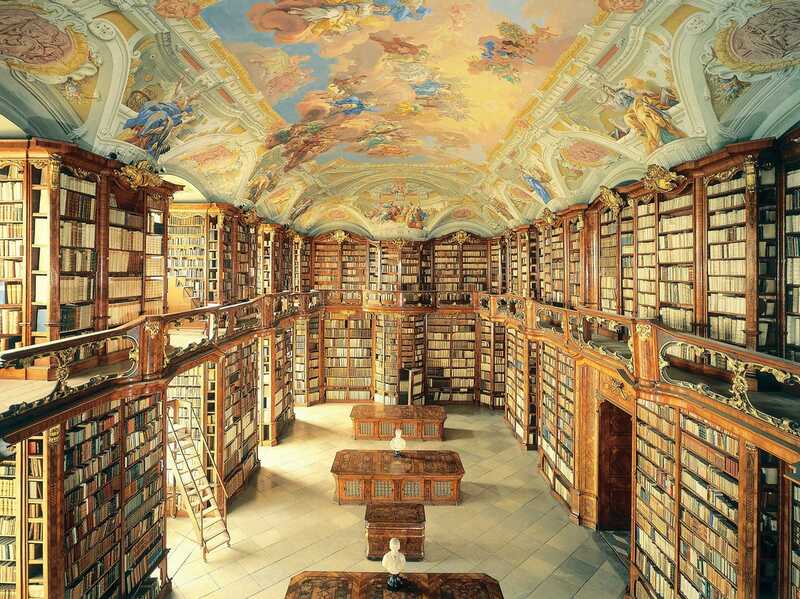 Located in the foothills of the Alps, this beautiful library is the second largest monastery library in the world. The library hall was designed in the late Baroque style by the architect Joseph Hueber in 1776 with a nearly 230-foot-long hall that contains 200,000 volumes. The ceilings were painted by Bartolomeo Altomonte and show the stages of human knowledge, up to the high point of Divine Revelation. The Peabody Library was funded by the the philanthropist George Peabody. 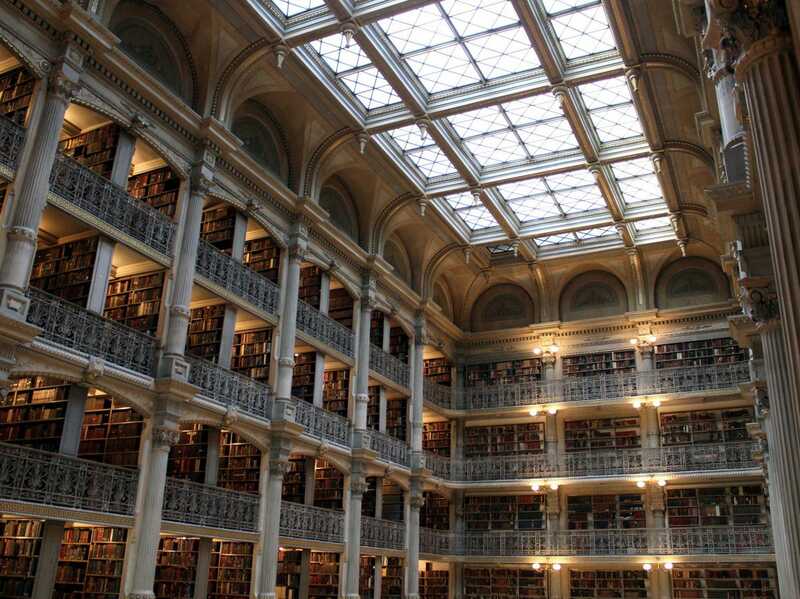 Peabody built the library as a gift to the citizens of Baltimore for their kindness and hospitality. Designed by 19th-century architect Edmund Lind, Peabody is known for its interior that has a soaring atrium. The five stories of cast-iron balconies are filled to the brim with books, and the skylight roof showers the library in natural light. 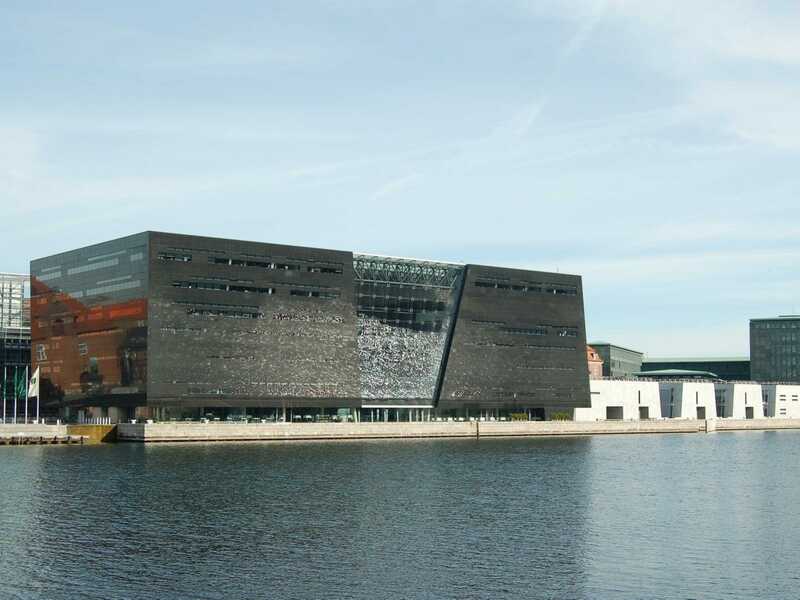 Completed in 1999, the ‘Black Diamond’ was built as an extension to the national library of Denmark. The neo-modern library gets its name from its polished black granite and irregular angles. The library’s harsh exterior is interrupted by an atrium made from only glass. This glass atrium makes the interior of the building an incredible space that is full of light and views of the water, which makes for a really gorgeous reading environment. Japanese architect Sou Fujimoto designed the library to be the simplest library in the world, made from only bookcases and a glass exterior. The 20-foot high walls are made from bookshelves, and are only interrupted by bridge-like reading areas. 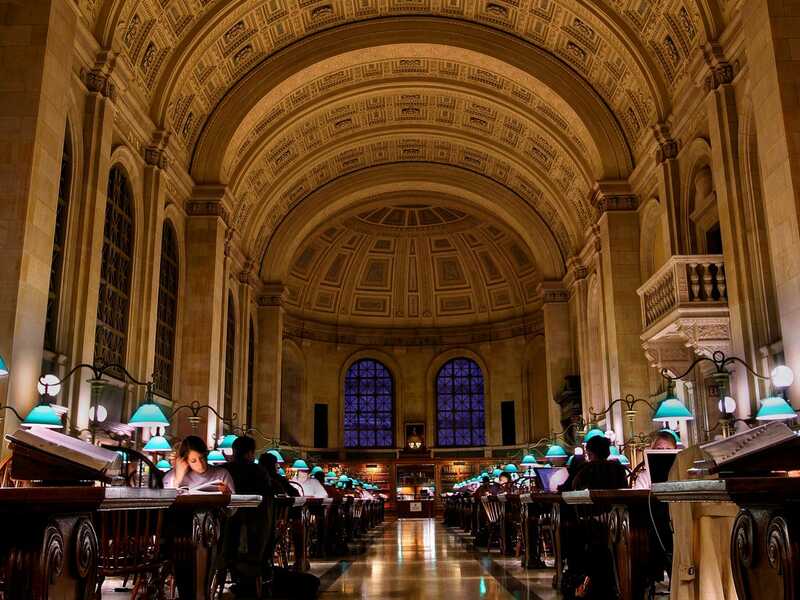 The Boston Public Library contains roughly 23 million items, making it the second-largest public library in the US. 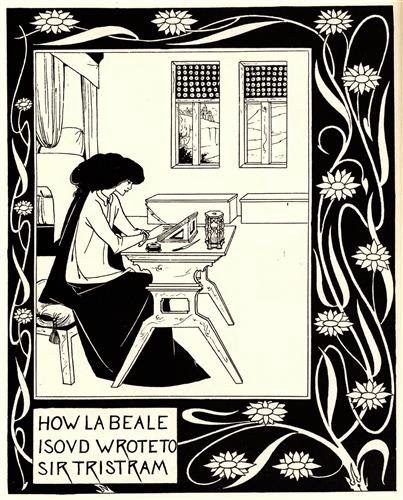 The library is known for its incredible courtyard, Italian-inspired architecture, entrance atrium, and its quintessential library reading room: Bates Hall. The Bates Hall of the library is named after Joshua Bates, the library’s first benefactor. In 1852, Bates agree to donate a large sum to the building of the library with a few conditions: that the building would be an ornament to the city and that it be perfectly free for everyone. This cube-shaped, nine-story library takes its design from the Pantheon of ancient Rome, according to Designboom. 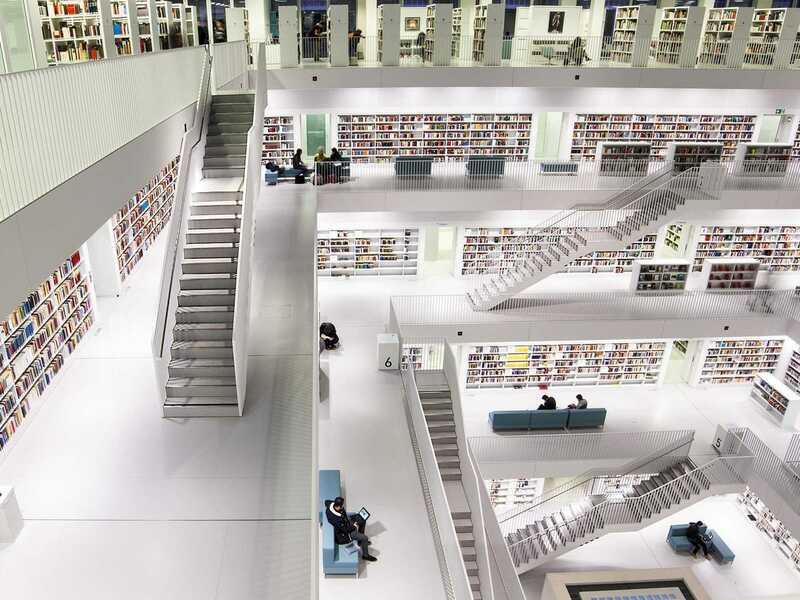 The aim of the library was to create a continuum inside of the room, so the entire room is painted in uniform pure-white. The only color in the building comes from the books themselves. Designed by architect Alberto Kalach, the library is a concrete and glass structure. 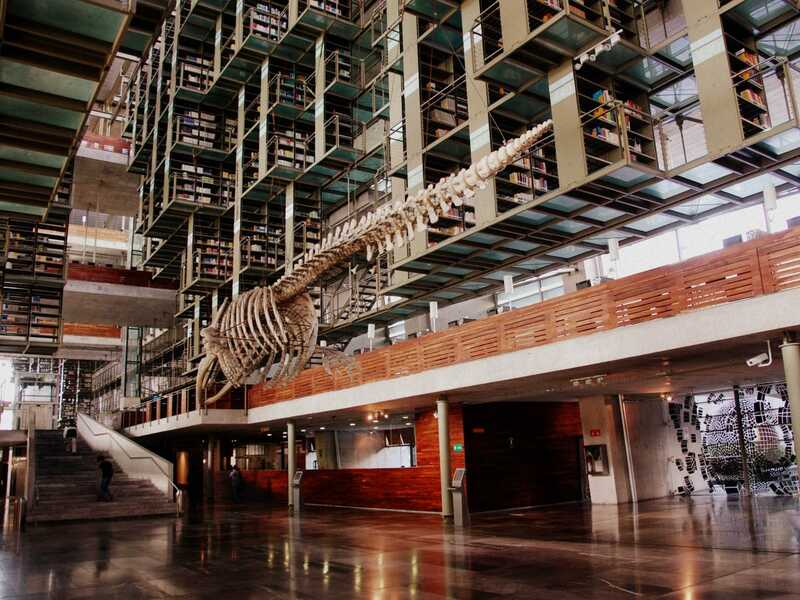 The bookshelves look as if they are hovering in midair, and a giant whale skeleton hangs in the center of the library. The library is named after José Vasconcelos, who was a philosopher and politician. Vasconcelos was an important cultural figure in Mexico and an active promoter of reading. 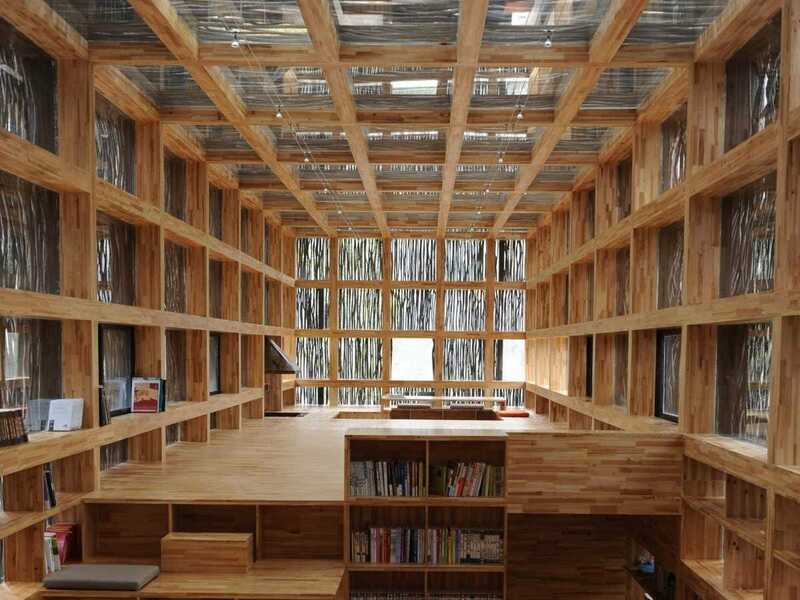 Located in a small village outside of Beijing, the single-story library blends into its forest surroundings. The library is made from timber beams and its exterior is covered in sticks, according to dezeen. The light of the library comes from the cracks in the twig frame. The building may be covered in firewood but it has a very advanced integrated cooling system that draws in cold air from the lake it sits on. The library is also completely eco-friendly and made from all recyclable material. Plus, it looks like an incredibly cozy place to sit and read a book. 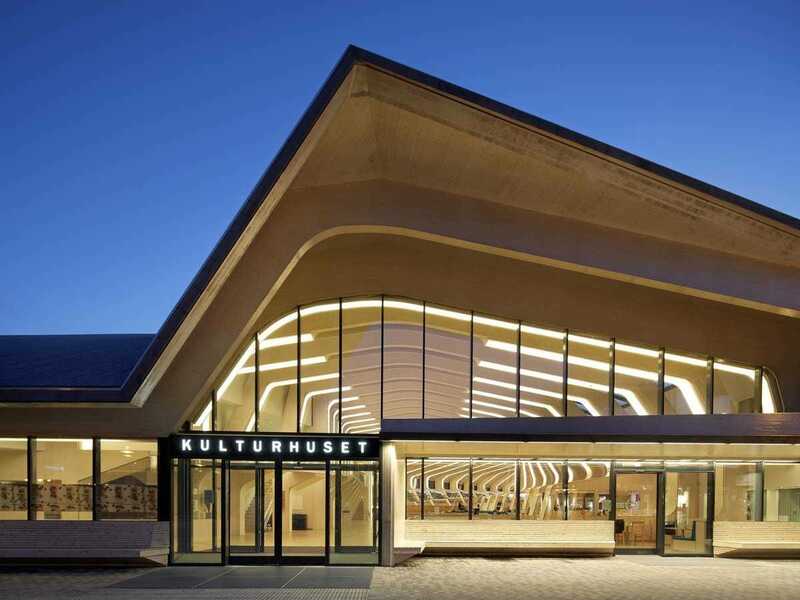 This library in Norway is made of a series of arcs, or “ribs,” that support the roof. The concept of the building comes from the ribs of a whale skeleton. ”In this project, we developed a rib concept to create usable hybrid structures that combine a timber construction with all technical devices and the interior,” architects Helen & Hard told ArchDaily. 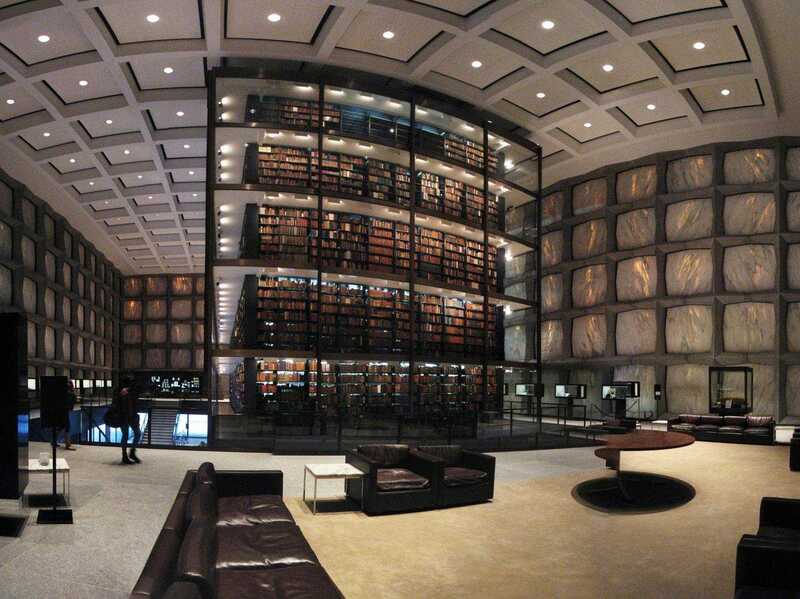 The Beineck Rare Book & Manuscript Library is the literary archive of the Yale University Library, and is the largest building in the world devoted to the preservation of rare books and documents. The entire library is shaped around the massive display in the center. The library’s building is iconic because of its incredible Vermont marble, granite, bronze, and glass ‘windows’ that were designed to filter in enough light so that rare materials can be displayed without damage, according to ArchDaily. From the outside, the building looks as if it is completely solid. The Beineck’s vast collection includes a Gutenberg Bible. The original library of Alexandria was established in the third century B.C., and was one of largest and most significant libraries of the ancient world. 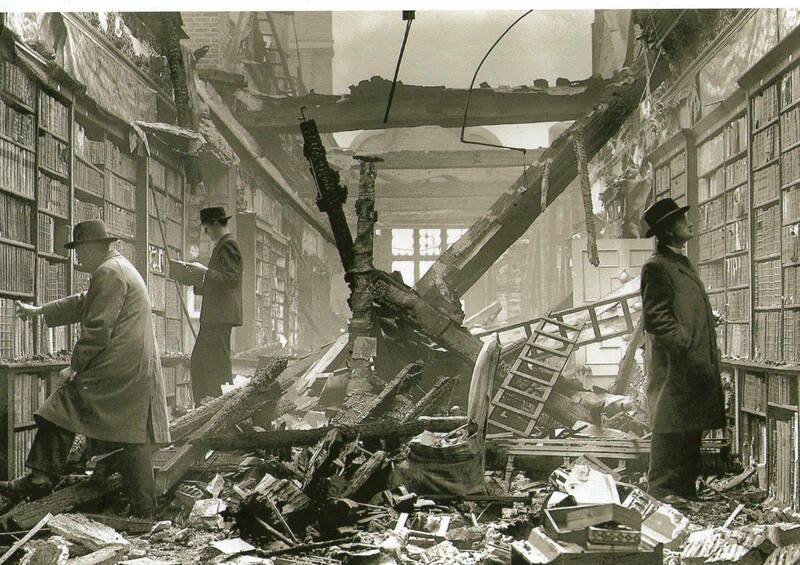 When it was destroyed in the third century A.D., there were countless scrolls and books that were lost. The new library of Alexandria was built in 2002 to pay homage to the openness of the original library. Built by Snøhetta architects, the building is designed like a sundial and tilts towards the Mediterranean Sea. 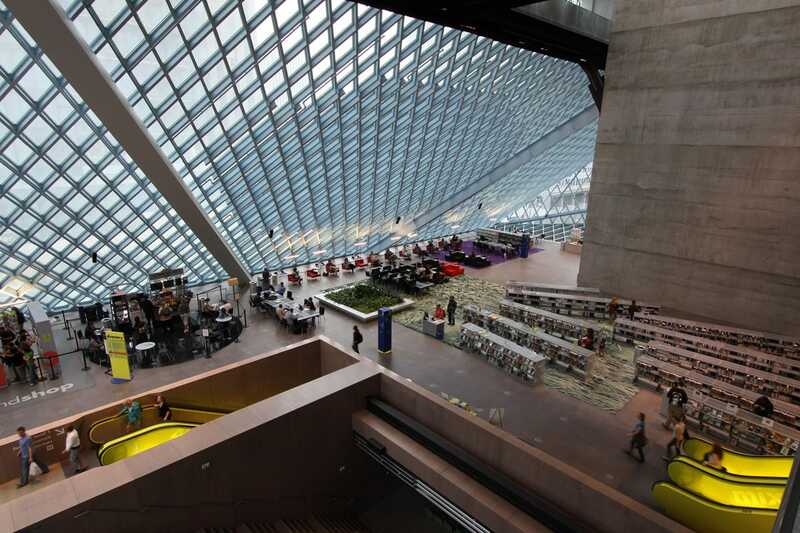 First opened in 2004, the 11-story glass and steel building in downtown Seattle was designed to be a reinvention of the traditional library. The contemporary building is not only a space dedicated to books, but is also an access point for all forms of media. Designed by Rem Koolhass, the building combines “futuristic lines with the functionality of a library.” The interior of the building is notable for its large public spaces and natural light. 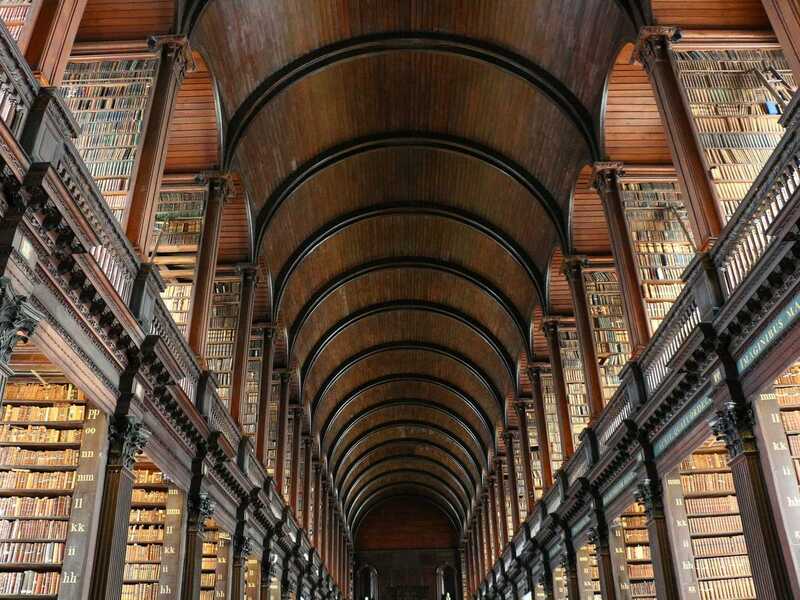 Famed for its ‘Long Room,’ the library of Trinity College library is home to the largest collection of books in Ireland. The over 200-foot-long main room is covered in marble and dark wood pilasters. When it was first completed, the ‘Long Room’ had a flat ceiling, but the roof was raised to accommodate more books. 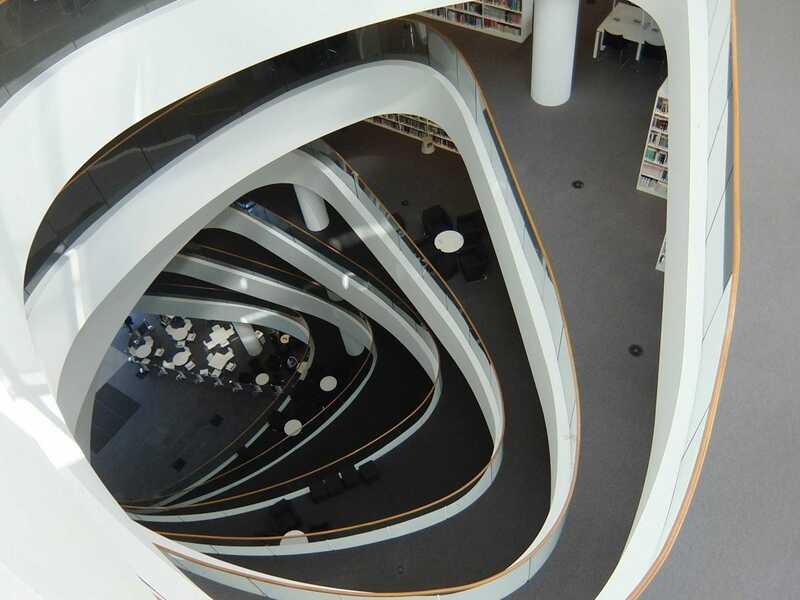 The Sir Duncan Rice Library is the new library of the University of Aberdeen. The library incorporates 21st-century design, and has a huge spiraling atrium in its center. The library gained a lot of attention for the range of sustainable features that were included in its design. The spiraling atrium lights up all eight floors — the building also has photovoltaic cells on its roof to convert the energy of light directly into electricity. 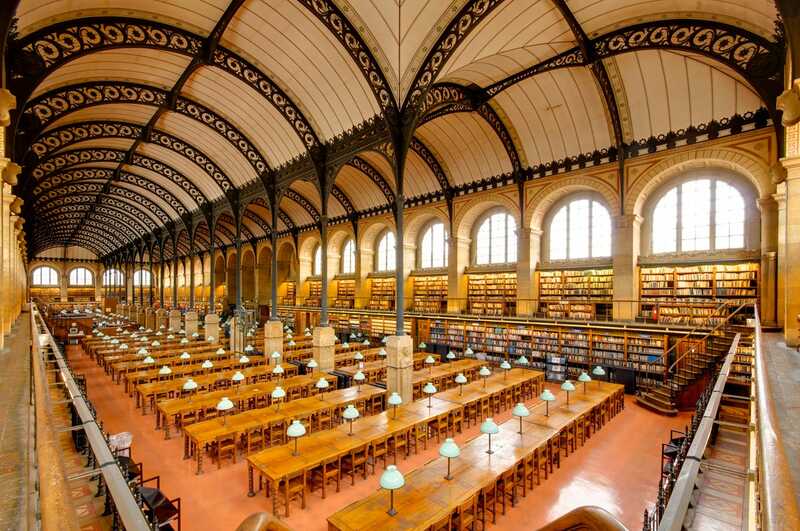 The Sainte-Geneviève library is the main research and reference library for the students of the University of Paris. The New York Public Library has nearly 53 million items, and is the third largest library in the world. The incredible Beaux-Arts landmark was one of the largest marble structures in the US when it was built. The Rose Main Reading Room of the library stretches nearly two city blocks. The reading room measures 297 feet long by 87 feet wide, and has 42 long oak tables for visitors to sit in. 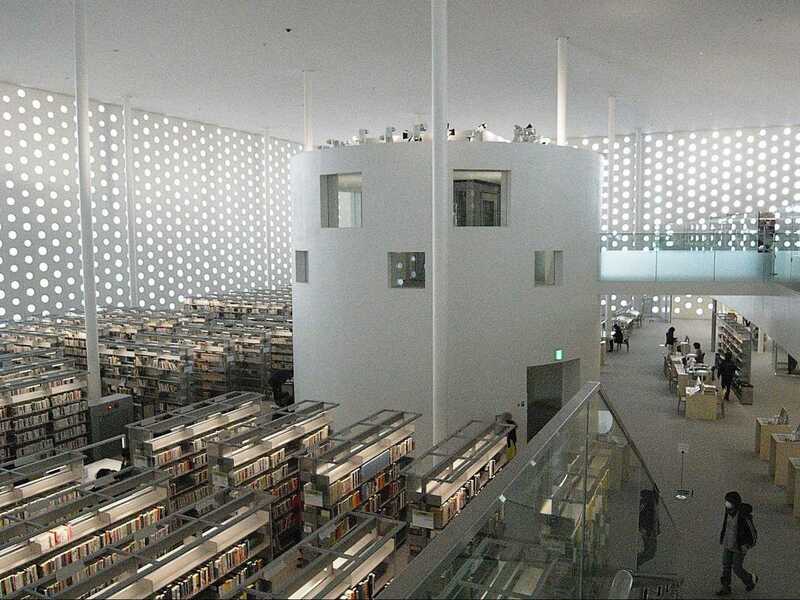 This three-story library in Japan is designed like a “cake box,” with large white hole-punched windows that light up the space. 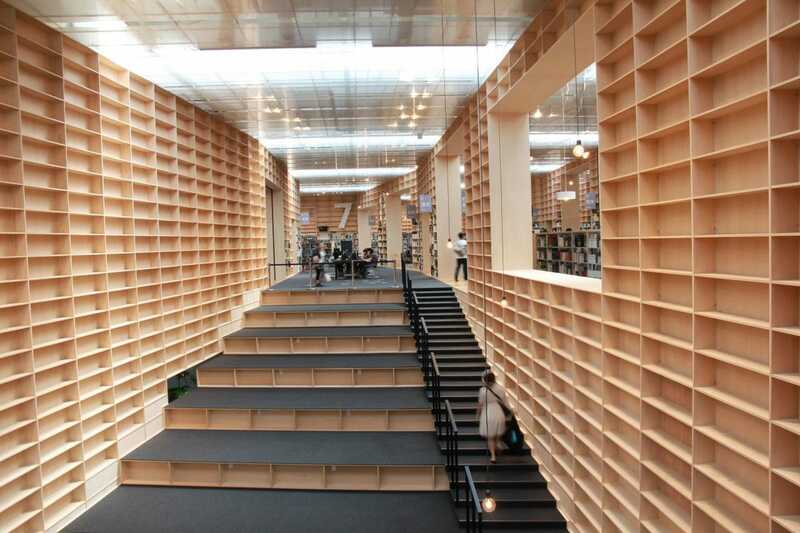 The library is meant to be a tranquil room, and the “punching walls” are meant to make it look like a forest of books. 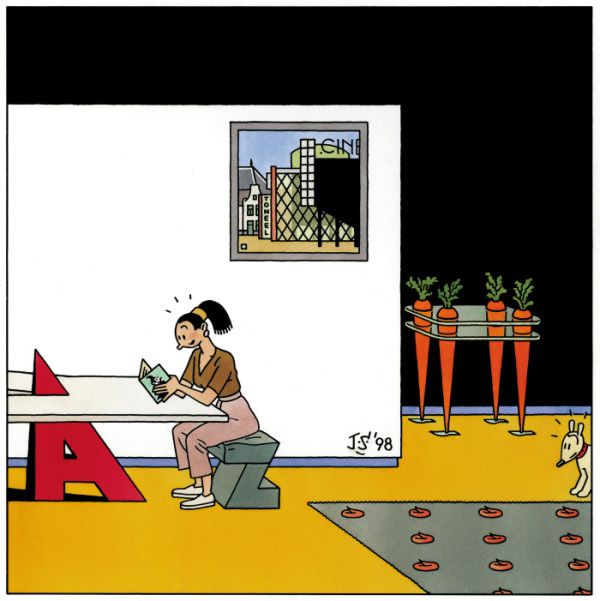 "This environment would allow users to experience the joy of reading while surrounded by a treasure trove of books with a overwhelming physical presence, something that the convenience of electronic and digital books cannot offer," the architects told ArchDaily. Built in the 19th century, this gorgeous rooms is home to over 350,000 works — and the largest collection of Portuguese works outside of Portugal. 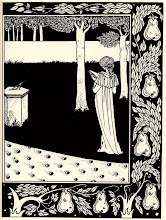 The library is known for its Neo-Manueline design, which “evokes the Gothic-Renaissance style that flourished during the time of the Portuguese Discoveries,” according to My Modern Met. 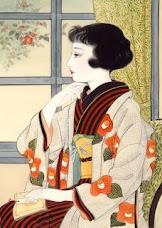 The room is completely covered in books, many of them rare works dating back to the 16th century. 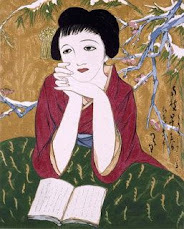 It's the perfect destination for anyone who loves to be surrounded by beautiful books.